I recently got an email from someone by the name of Ted Danforth who told me that he is a) also named Danforth, b) writing a map-based book about history called "The Eastern Question." 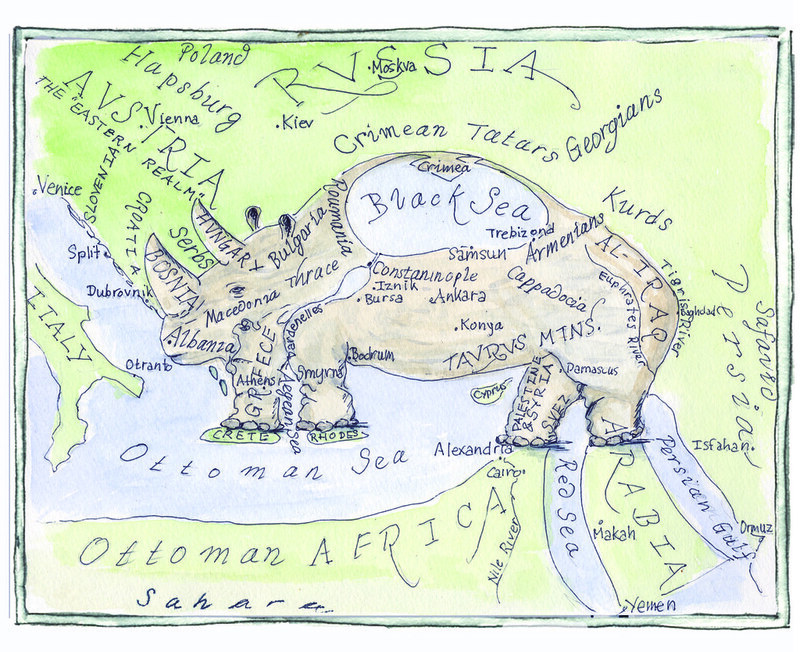 The book, unfortunately, is not out yet, but Ted was kind enough to provide us with this image of the Ottoman Rhinoceros, described thus: "Imagine a great African rhinoceros sticking its horns into the Balkans, its forefeet treading on the islands of Crete and Rhodes, its back feet on Egypt and Arabia." We look forward to having more info about Ted's book, but in the meantime enjoy the map.